A proper attitude and approach to your financial affairs is not only exemplary, but also necessary for Biblical Financial Success. In this book you will find 10 life-changing attitudes that will make you a financial success. Description: A proper attitude and approach to your financial affairs is not only exemplary, but also necessary for Biblical Financial Success. 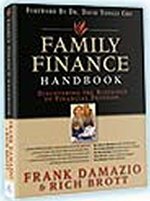 In this book you will find 10 life-changing attitudes that will make you a financial success. They are the I Can attitudes. Not only are they life changing, but also very attainable. With the right guidance, you can become debt free. With the proper attitude, you can break bad spending habits. With enough self-discipline, you can pay cash instead of using credit. You can renew your thinking, change your flawed value system, and rise above your burden of debt. If you are financially accountable, you can enjoy life without spending massive amounts of money. 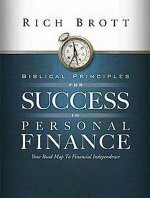 Author Rich Brott wants to help you discover financial solutions and change your improper attitudes so that you can change your life.